Joyce Anita Smith Nagelhout Faller met her Lord and Savior on April 11, 2019 in Denver, Colorado. She was born August 1, 1945 in Suffolk, Virginia to her parents, Bernard Smith and Hazel Gomer Smith. She was a woman who embodied courage, grace, confidence and passion. After receiving her Associate’s degree and beginning her career as a secretary, Joyce moved her way up to be a partner, selling life and health insurance for 20 years. 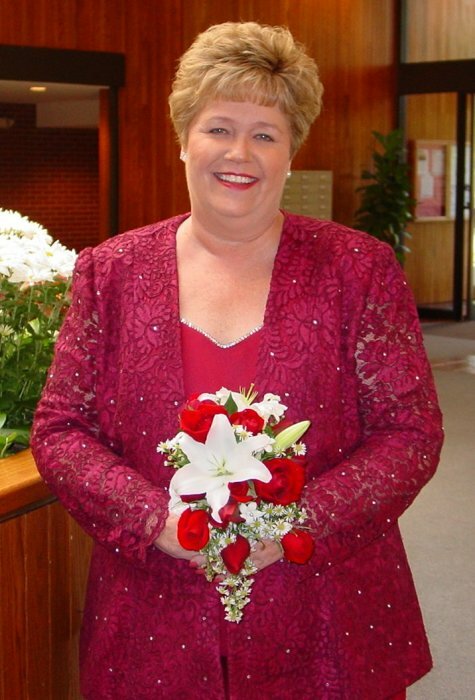 Her true passion was being a loving wife, mother, grandmother and best friend. Joyce lit up the room with a smile and laughter and always made everyone feel loved. Joyce will be remembered most for her love she showed to her husband, two children and four grandchildren. As her kids grew up, she always had a meal prepared and on the table for her family. Joyce would always make certain birthdays and family events were special and everyone was together. She wanted nothing more than to see her kids married, happy and successful. After becoming a grandma, she loved keeping up with her grandkids. Joyce also loved shopping, playing bridge and canasta in her free time. She had a special place in her heart for her sorority sisters. The one word she was not fond of was “in-law”, because we're all family. Joyce is preceded in death by her husband of 30 years, Donald D. Nagelhout. Joyce is survived by her children Douglas Nagelhout and his wife Christine Lachat Nagelhout and their children Jason and Kelcie Nagelhout all of Colorado, her daughter Janice Nagelhout Hrncir and husband Gus Hrncir, Jr. and their children Gustav Garrett and Shelby Hrncir all of Colorado. She is also survived by her brother, Frederick Smith and his wife Connie McFadden Smith of Virginia. A Celebration of Joyce's life will be held at Connections Church on April 18, 2019 at 2 PM. In lieu of flowers, donations can be made to Connections Church.